Yesterday, Google unveiled the second Android N Developer Preview, an update that not only solves a range of known bugs but also introduces a new, much faster 3D rendering API named Vulkan, as well as launcher shortcuts and new emoji. Although Google has already published the factory images and has also started pushing the over-the-air (OTA) update, earlier today, the company also published the .zip for the OTA update, which means that manually sideloading is only a few taps away. Since the factory images for the second Android N Developer Preview went live yesterday, interested Nexus device owners could already flash these images and test out the new update. However, this isn't the optimal method of testing v2.0 of the Android N preview, since flashing a factory image erases all of the data on the device. The .zip files that Google has published allow users to update to the new Android N preview without losing all of their data. While the process still requires the manual input of a few adb commands, the process is actually much simpler than flashing a factory image. 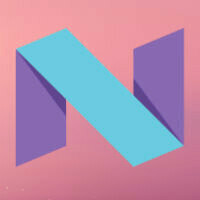 For complete details on how to sideload the new Android N Preview on your Nexus device, head on over to the source link below, which is also where you'll find the .zip files for the supported devices, which are the Nexus 5X, the Nexus 6, the Nexus 6P, the Nexus 9, and the Google Pixel C.
Looking forward, we're expecting Google to launch OTA .zip files for the next Android N preview versions, a couple of which are likely to land before the commercial version of the OS launches in the third quarter of the year. Sorry guys but this has nothing to do with this article but have any of you had this issue? Pop up message "an embedded page at facebook.com-lucky-visitor-me...... Congratulations you are a lucky visitor Click OK to continue " I pressed the back button. Please let me know if anyone experienced this from visiting phone arena. Thank you. That's a scam ad. Consider installing AdBlock in your browser. Any suggestions on which app? I installed cm security. I use AdBlock Browser on my OnePlus One, and Chrome with uBlock extension on my Surface Pro 2..
Adaway if you're on rooted android.